As a construction professional, there are multiple reasons to build with and utilize the Advantage ICF System®. Aside from the multiple features and benefits experienced by the homeowner, the Advantage ICF System® helps you accomplish your project goals as well. 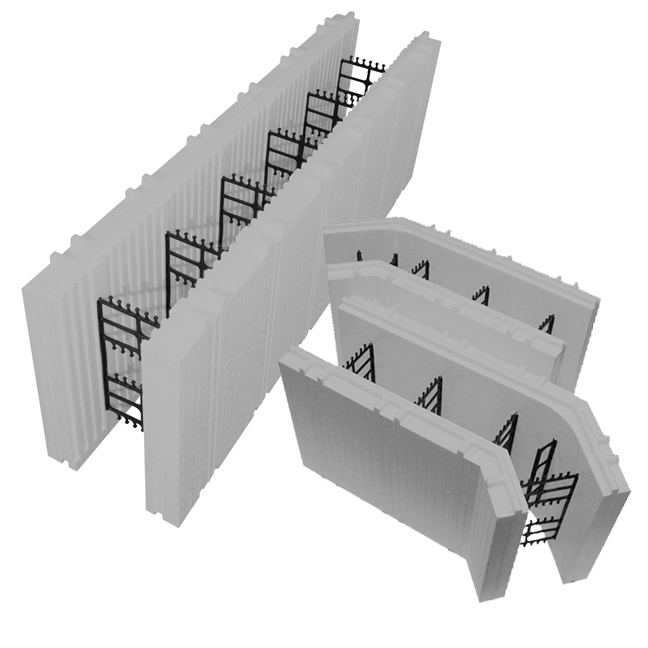 Use the Advantage ICF System® to construct walls below and above grade. Providing superior effective thermal resistance (RSI/R-value) and reduced air leakage on all types of residential, commercial and institutional projects. The Advantage ICF System's patented tongue and groove interlock design on the horizontal joints allows tight nesting of the blocks. The groove on the bottom edge of EPS panels interlocks with the tongue on the top edge of EPS panels making it easier to apply a consistent even bead offoam adhesive in critical areas to interlock the blocks tightly. This eliminates the need for internal metal hooks that interrupt concrete flow during placement or interfere with internal mechanical vibration essential for proper concrete consolidation as recommended by the Portland Cement Association to avoid voids in ICF walls (see PCA Bulletin RD134 “Concrete Consolidation and Potential for Voids in ICF Wall”). The Advantage ICF System® tongue and groove interlock design provides an additional barrier for moisture migration through the horizontal seams. Advantage ICF System® is the only ICF product that features tabs within the horizontal interlock design. Advantage ICF block internal webs tie the monolithic EPS insulation panels in place and provide 1 ½” wide attachment surfaces for your interior and exterior finishes. Tabs incorporated into the tongue on the top edge of the EPS panels slip into grooves on the bottom edge of the row above to keep the webs aligned making attachment of finishes easier and faster. There are some areas where the tabs may have to be removed due to project specific installation issues. This is done with little effort with the horizontal tongue and groove interlock between blocks maintained. This interlock feature means less waste than reversible ICF Blocks. An embossed line on the exterior surface of EPS pan¬els marks the middle of the 1 ½” wide vertical attachment surfaces on internal webs making it easy to find the surfaces for fastening interior and exterior finishes. 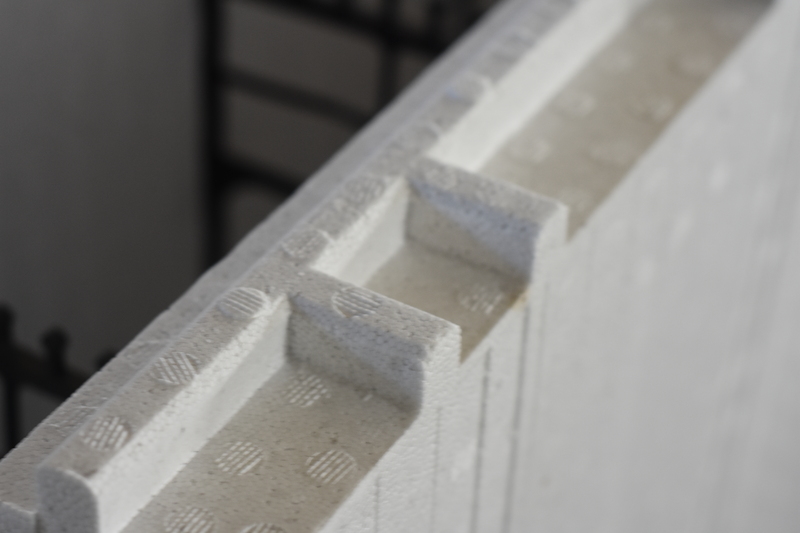 All Advantage ICF System blocks are also marked with a vertical recessed cut line every inch to facilitate cutting blocks to length when required. The Advantage ICF System® Brick Ledge Block features a continuous uninterrupted concrete ledge. When brick ledge blocks are included in any ICF system horizontal steel reinforcement and stirrups are required in the concrete ledge portion to support loads. The Advantage ICF Brick Ledge Block features a web unique to the ICF industry that is molded into the EPS panel that forms the brick ledge. Attachment surfaces on internal webs within the EPS panel are consistent to the top of the ledge for easier fastening of required exterior finish materials to, a benefit only provided by the Advantage ICF Brick Ledge Block. 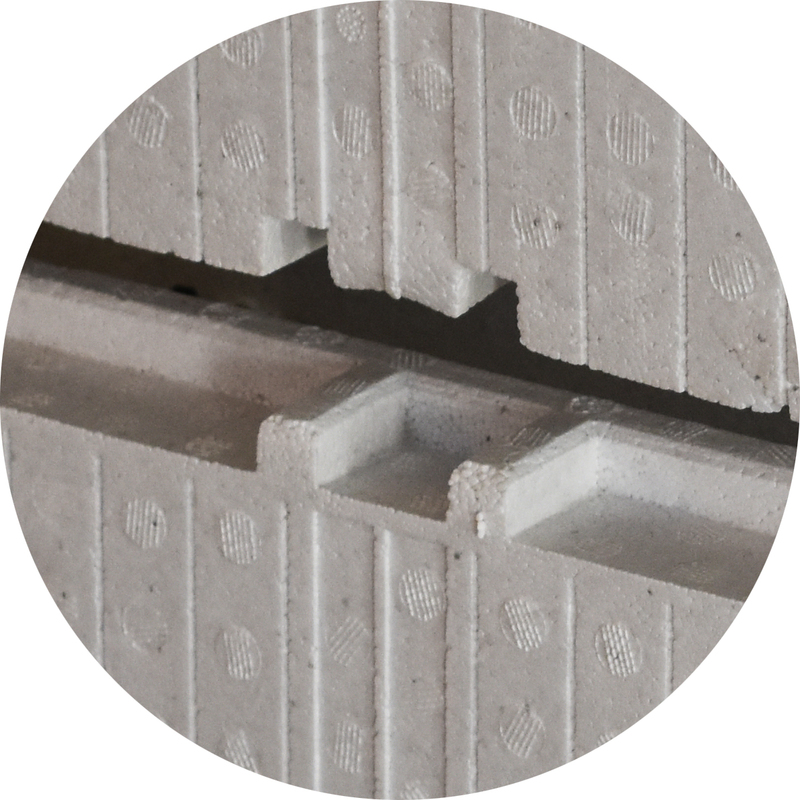 This superior design of the Advantage ICF Brick Ledge Block allows it to be used to provide uniform support for cladding such as brick or stone and can also be used for support of interior or exterior concrete slabs. All concrete reinforcement is totally encapsulated within the concrete so it is not exposed to moisture which can lead to long term deterioration through corrosion. This is a significant improvement over other ICF designs that use EPS haunches molded into one face of the EPS panel. These haunches are considered structural voids and do not allow the steel reinforcement to be protected from moisture.